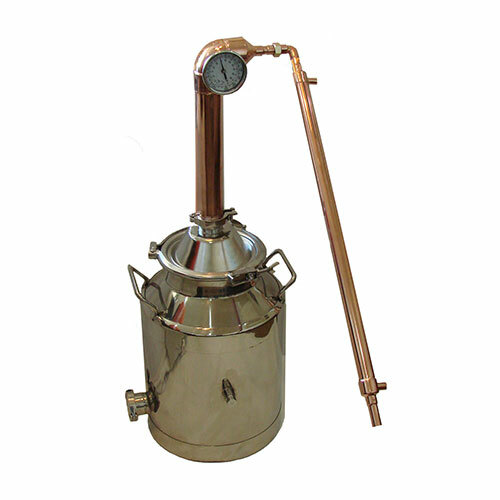 New 2” Copper Pot Still 8 Gallon Boiler milk can tower comes with thermo port and 3” dial thermometer. All Tig welded for extra strength tig welding looks much cleaner than sloppy solder joints. We also polish the tower after welding to give the tower that beautiful shiny copper look. 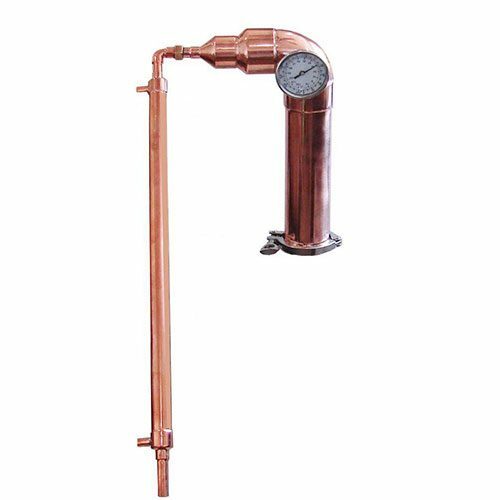 Tower is about 14” with 27” Leibeg condenser that attaches with a union fitting. 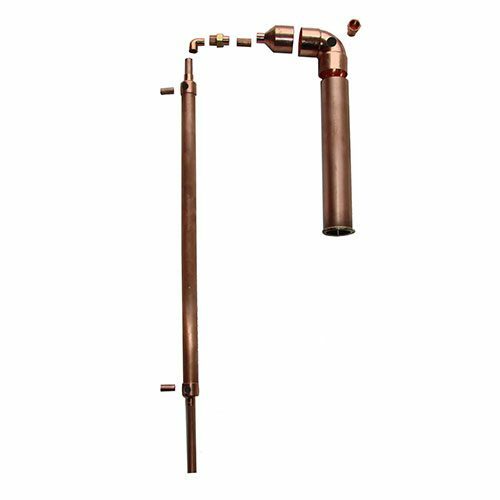 The union fitting gives you the option to but the condenser at any angle you like and comes apart for easy storage. Tower base has a 2” ferrule welded on the bottom to fit the 8 gallon milk can. 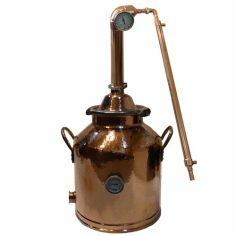 At Mile Hi we want to make sure you get the best copper pot still possible so we used thicker copper and tig welded the joints and also take the extra time to polish the copper pot still tower. No other company takes the extra steps to polish or tig weld because its very time intensive. Absolutely amazing customer service and still is flawless!!! Especially with all the extras!!!! I emailed on a Saturday and they emailed me back on a Sunday not your typical M-F business thanks alot you guys keep up the good work!!!! !